Popular classic Gulabi Aankhein revamped for Noor! 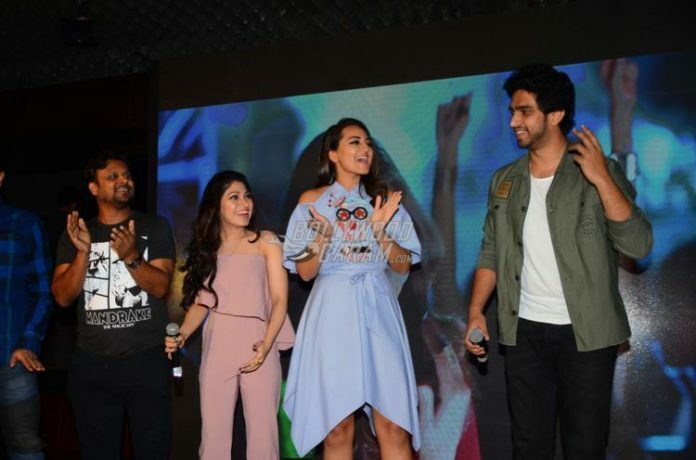 Bollywood actress Sonakshi Sinha launched the song Gulabi 2.0 from her upcoming movie Noor at an event in Mumbai on March 22, 2017. The actress looked great in a light blue cold shoulder dress with an asymmetric skirt. Once again, an old Bollywood song has been revamped for the new generation. The romantic track Gulabi Aankhein has been given a makeover and is now known as Gulabi 2.0 for Sonakshi’s latest flick. The original Gulabi Aankhein is from the classic olden days movie, The Train and has been remixed a number of times. 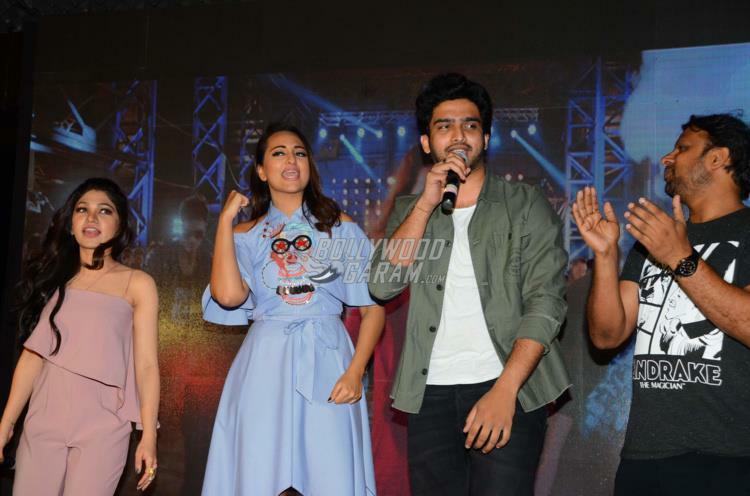 But the new song has some great dance moves by Sonakshi Sinha, which features the star in party mode as she dances to the remake. The actress also shared the song on her Twitter page with a caption, “It’s time to #PartyWithNoor Yay! Here’s #Gulabi2.0 frm @NoorTheFilm @Abundantia_Ent @TSeries @sunhilsippy @vikramix.” The video for the song also features Purab Kohli. In the upcoming movie Noor, Sonakshi will be seen playing the role of a journalist in the pulsating city of Mumbai. 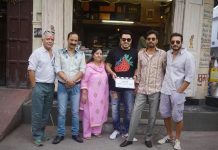 Reports say that the movie has inspiration from the Pakistani novel with the title Karachi, You’re Killing Me by Saba Imtiaz. The official movie poster for Noor has been released, and shows Sonakshi surrounded by what appears to be her insecurities while working in a demanding job. Thoughts like ‘I’m fat’, ‘I hate my life’, and ‘Joker journalist’ can resonate with many millennials today. The feisty actress is excited about her latest release, since she plays the title role and has a very relatable character to play. She’s come a long way since her first movie opposite Salman Khan. Previous articleKriti Sanon and Sushant Singh Rajput Breakup After Dating For A Year!